For this production, we’ve thrown our toys out of the pram… and sampled them all! Here’s a treasure trove of bells, whistles, rattles, special percussion, animal calls and lots of other crazy musical toys that we could get our hands on. Our love of all things animated has inspired Bells & Whistles and within the library you’ll find many familiar effects, which have been heard for decades in vintage film animation, TV stop motion and everything in between. 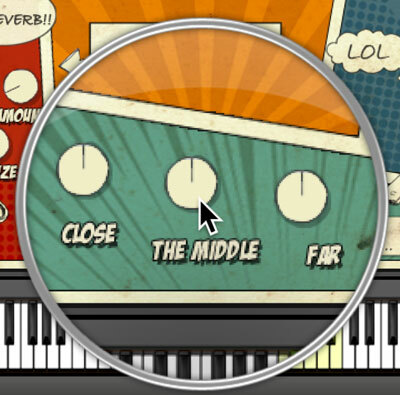 We’ve taken notes from Tom & Jerry, Mickey & Goofy and Daffy & Bugs and created a crazy cartoon interface with the sounds to match. Our fun-house of source instruments include classic slide whistle, duck call, football rattle and flexatone, to name but a few. These have been categorized into groups and articulations and the tonal whistles have been multi-sampled and turned into playable instruments too. We, at Sonokinetic BV, are very proud to introduce Bells & Whistles to you and can’t wait to hear the amazing things you, our valued customer, will produce with it. 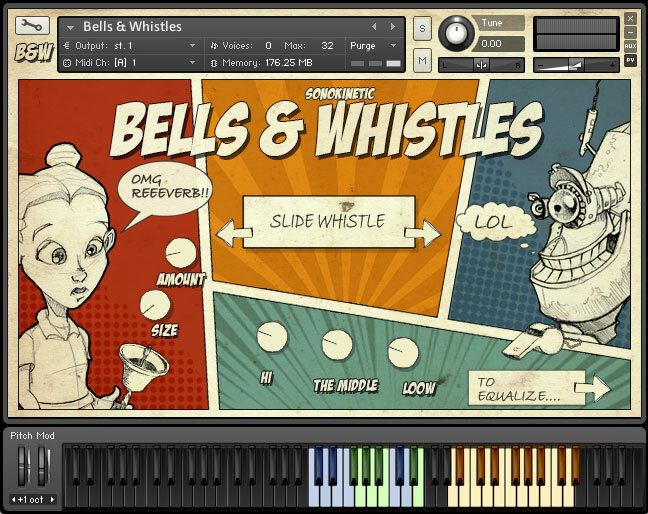 The GUI for Bells & Whistles consists of several sections to control instrument selection, reverb, microphone mixing and EQ. Wah Tubes, Big Siren, Bullfrog, Crash cymbal, Cricket, Crocodile, Duck, Flexatone, Galaxy Shaker, Galaxy Stick, Water Shaker, Water Triangle, Nightingale, Rattle, Crow, Kukuk, Nar, Plastic Whistle & Slide Whistle. The basic method of playing Bells & Whistles is to play notes within ranges of the coloured notes. You will find notes coloured either yellow, blue or green. The range varies depending on the chosen instrument. 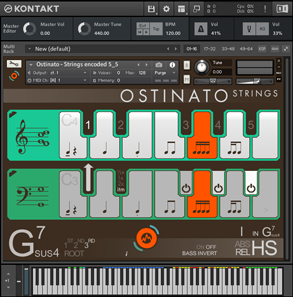 The yellow range indicates a multi-sampled pitched version of the instrument, playable on your keyboard. The blue / green ranges indicate effects and other tonal / atonal sounds. Articulations are grouped together for clarity and these are shown by alternating blue and green groups. 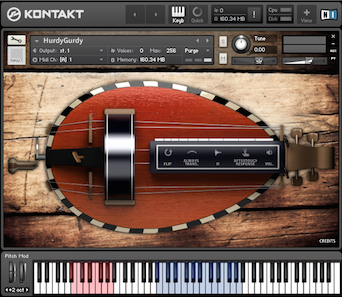 It’s easy to select an instrument from the available 20 different ones. 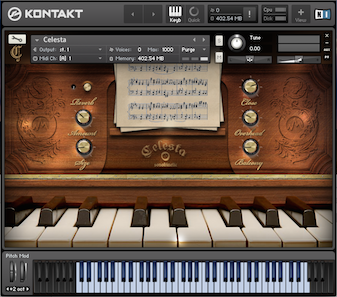 Just click the left / right arrows shown here and the instrument will be displayed. 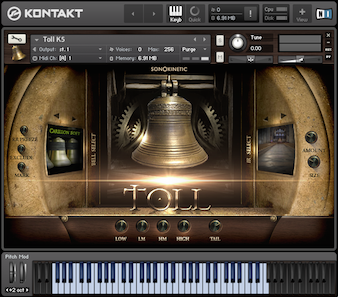 We’ve sampled not only bells and whistles, but a variety of other crazy instruments including rattles, percussion and other effects. Click on the robot to activate “grab bag mode”. This assigns a random selection of instruments across the entire key range. Each time you click you’ll get a different random selection. 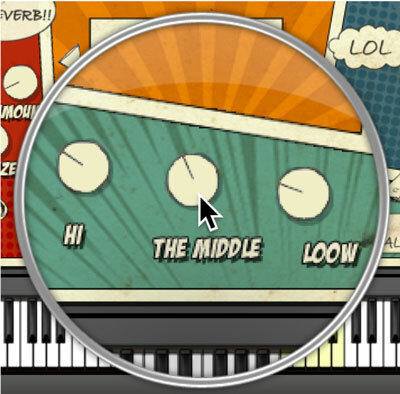 Choose either EQ or microphone mixing mode by clicking on the legend at the bottom right of the interface. The instruments of Bells & Whistles were sampled using 3 different mic positions: Close, Middle and Far. 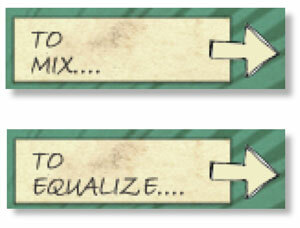 This section the interface gives you control over the mixing of those positions. 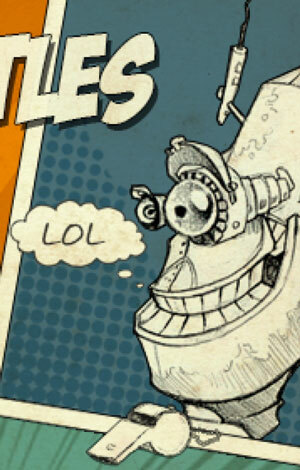 Click-drag the dials to control the the levels. Ctrl / cmd click to reset the dials to default. Note that you can set completely independent microphone mix settings for each instrument - and these settings will be remembered each time you return to a particular instrument. Bells & Whistles comes preloaded with a convolution reverb sampled from an actual space to simulate a realistic playing environment. This control makes it easy to quickly dial in some realistic reverb without too much fuss. 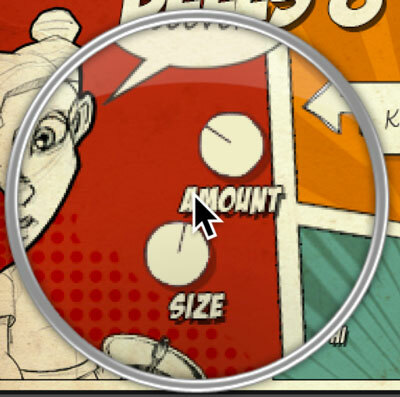 Adjust the wetness (amount) and size of the reverb by click-dragging on the dials shown here. Ctrl / cmd click to reset the levels to default.